Join us on Saturday 30 June 2018, 12.30pm to 4.00pm for the annual Village Fête at Saltaire United Reformed Church. There’ll be a wide variety of stalls, donkey rides, children games, refreshments, musical entertainment and a tombola. This year the event will be celebrating the centenary of Votes for Women, with Edwardian costume strongly encouraged! This entry was posted in News on June 8, 2018 by Veg on the Edge. On 17 May 2018 we were delighted to be visited by The Big Walk, led by Eden Project Communities. As part of this ambitious project, four teams of walkers are currently making epic journeys across the UK over 18 days to shine a light on projects and events that bring people and communities together. Stephen from Team England plants some magic beans! Veg on the Edgers gave Katherine, Thomas and Stephen from Team England a tour of our community growing gardens and provided some delicious cordial made from produce grown on the sites. The Big Walk will culminate in the nationwide celebration The Big Lunch, the UK’s biggest annual get together for neighbours. We’ll be joining in the fun on Sunday 3 June 2018 with a gathering in the Sunday School Garden on Caroline Street after our Sunday morning gardening session. This entry was posted in News on May 30, 2018 by Veg on the Edge. The annual community arts event Saltaire Arts Trail is back to dazzle and delight this weekend and Veg on the Edge will also be keeping busy. We’ll be on site at the Sunday School Garden (in Caroline Street car park) on Saturday 5 and Sunday 6 May 2018 from 11.00am to 3.00pm. Swing by to say hello and take a look at what we’ve grown so far this year. If you’re interested in becoming more involved, one of our group members will be on hand to have a chat and answer your questions. There’ll also be some tasty treats, potted plants and herbs to takeaway for anyone who’d like to make a donation to the project. This entry was posted in News on May 3, 2018 by Veg on the Edge. All welcome to join us at our AGM where we will review our finances and activities over the last year, as well as undertake nomination and election of group officers. As the AGM will take place at the house of one of our members, please email hello@vegontheedge.org if you would like to attend and we can provide further details on the location. This entry was posted in News on April 10, 2018 by Veg on the Edge. Spring has sprung and our weekly growing sessions recommence on Wednesday 4 April 2018, continuing every Wednesday evening until the end of September. We meet at 6pm in the Sunday School Garden (Caroline Street car park) to maintain the beds in this area before moving to tend our other sites as needed. 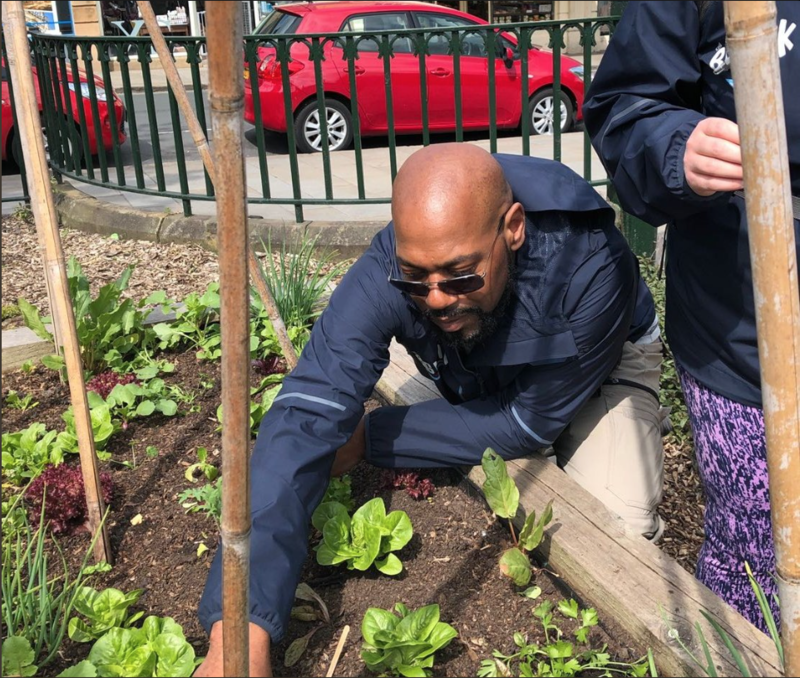 Our sessions usually last about an hour and activities include planting new seeds and shoots, rotating existing plants, watering, pruning and weeding. Our monthly Sunday sessions are also ongoing throughout the year. These are held on the first Sunday of the month from 11am (please note our next two sessions have been postponed to Sunday 8 April and Sunday 13 May 2018 in lieu of the public holidays). Come along and help make productive and attractive growing spaces for the community to use and enjoy. Everyone is welcome to take part, whatever your previous gardening experience. If you’d like to know more drop us a line at hello@vegontheedge.org. This entry was posted in News on April 3, 2018 by Veg on the Edge. A lovely heart shaped potato in time for Valentine’s Day! We had a fab time running our Seed Swap at Potato Day last weekend. 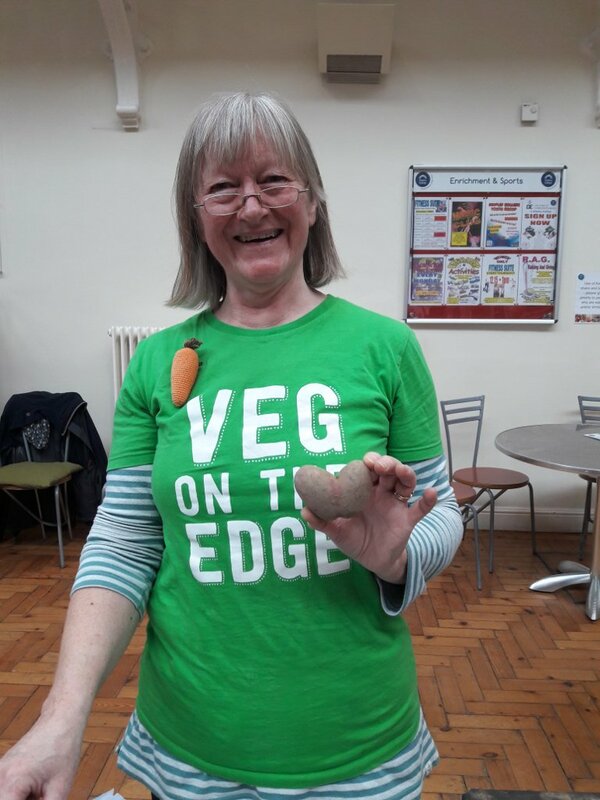 Thanks to everyone who took part, swapped seeds, or made a donation to Veg on the Edge. 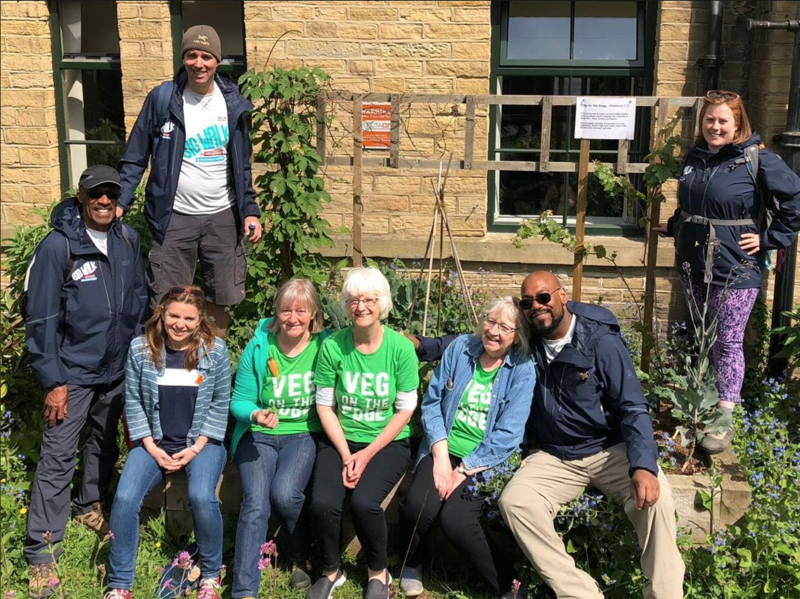 We enjoyed meeting lots of different growers and hearing about your plans for this year – in particular the lovely Rebecca from Incredible Edible Aireborough who are doing great things to encourage community growing in Guiseley. We hope to continue running our Seed Swap in the years to come, so if you have any feedback on how this can be improved do let us know. Some of you told us that it would be useful to highlight self-grown and organic seeds, and this is something we’ll look to incorporate into future events. 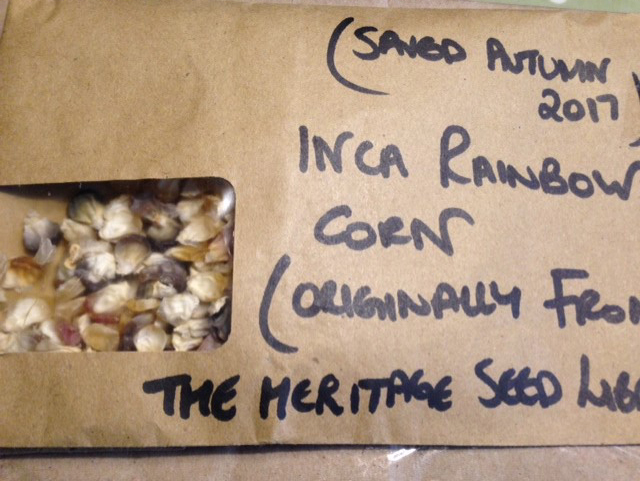 Finally thanks to Charlotte from Barnsley, who very kindly sent us some Inca Rainbow Corn seeds after the event, especially for planting in our South American bed down at Platform 1. We’ll keep you posted on their progress! This entry was posted in News on February 21, 2018 by Veg on the Edge. 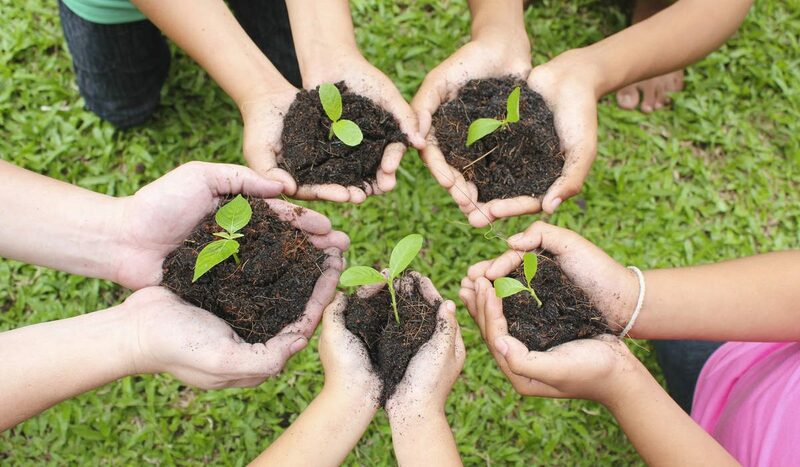 What is permaculture? Enjoy this opportunity to find out about the ethics and principles of permaculture, and discover simple and innovative ways to live sustainably now and in the future. 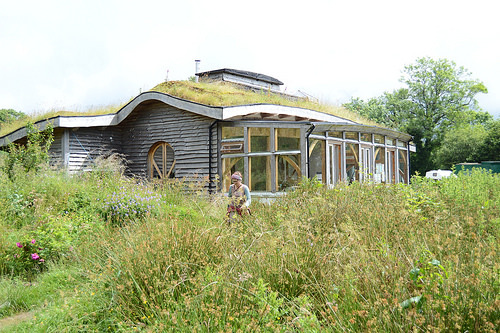 Sandy James, Chair of the Permaculture Association, will give an illustrated talk on the key aspects of permaculture and an insight into the work of the Permaculture Association. Pippa Chapman, Horticultural Consultant, will introduce the work of the Aire Valley Permaculture Network and talk about her experience of applying permaculture principles in her Steeton based project. Doors and bar from 7pm, talk 7.30pm to 8.30pm, followed by Q&A. 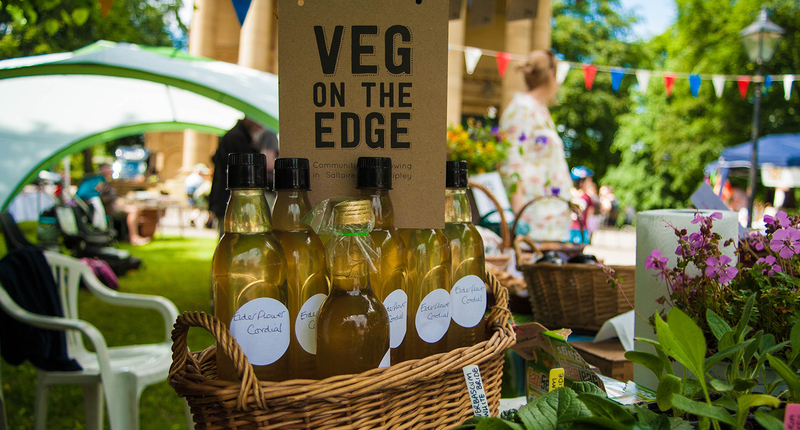 This event is presented in collaboration with Veg on the Edge, a group of local people working together to create opportunities for food growing in Saltaire, Shipley. This entry was posted in News on February 9, 2018 by Veg on the Edge.